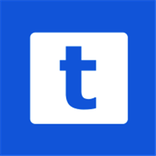 Tweet Marker is an award-winning, cross-platform web service for syncing the reading position between multiple Twitter clients. Use one of the many popular Twitter apps to read through tweets. Close the app. Your position is automatically saved to Tweet Marker. Launch another Twitter app. The scroll position is synced to where you left off. Check your account settings to enable support for Tweet Marker on each device. Most apps sync the timeline and mentions, and some apps sync lists and searches too. Thank you Macworld for recognizing Tweet Marker with a Editors' Choice Award for 2011! Just enable it in the settings for any Twitter app that supports Tweet Marker. $1/month. Support Tweet Marker and get the Safari extension. Starts at $25/month. API access, stats, and more. iPhone and iPad app with archiving, collections, and filters. iPhone, iPhone, and Mac app with a fast, beautiful reading experience. iPhone, iPad, and Mac app with muting, push notifications, and more.